A free update to ON1 Photo RAW 2018 made sweeping improvements to performance and image quality and also introduced new features. 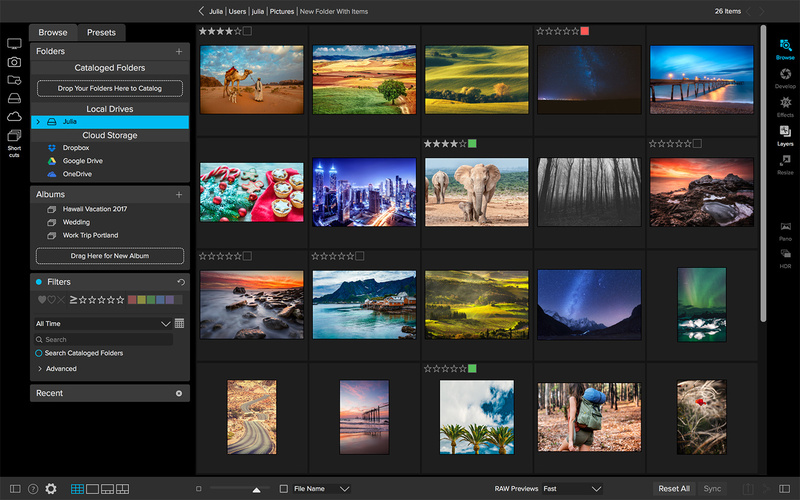 From importing and cataloging to editing, layer-based compositing, and printing, the new Photo RAW 2018.1 is a powerhouse for every photographer's workflow. 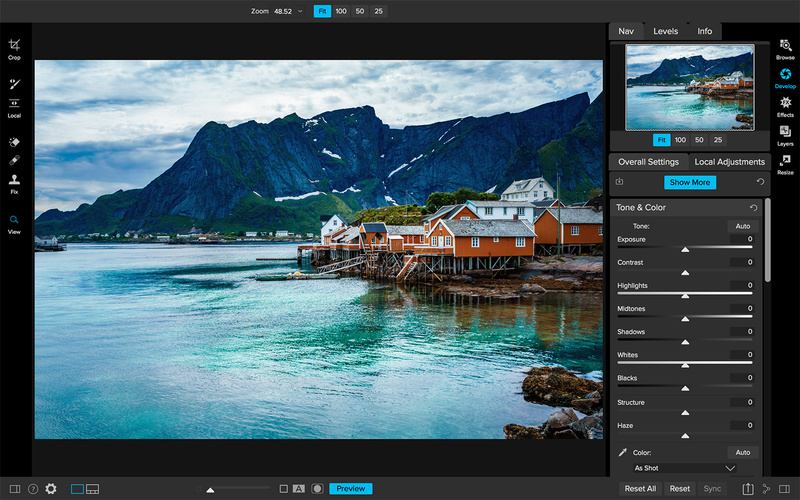 As a refresher, Photo RAW 2018 is the complete package in photo editing. I know it best as an excellent raw file converter and editor, but it can also handle JPEG, TIF, PSD, PSB, PNG, and DNG files just as well. It can organize your photos in Browse and quickly import, cull, catalog, tag, rename, and more. In the Develop and Effects module, non-destructive editing is capable of getting the look that you want out of your images. And sometimes when you don’t have a particular look in mind, the included stylized filters with live preview in Effects can narrow down the direction to head in with your image. The Resize module features an industry-standard image enlarger that you probably heard of and uses Genuine Fractals for top-quality results. 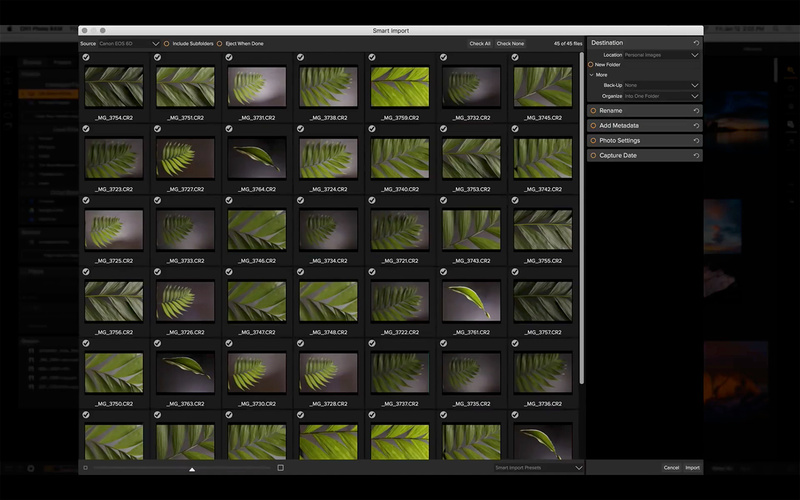 There’s even a Layers module for creating composites and blending layered photo stacks. 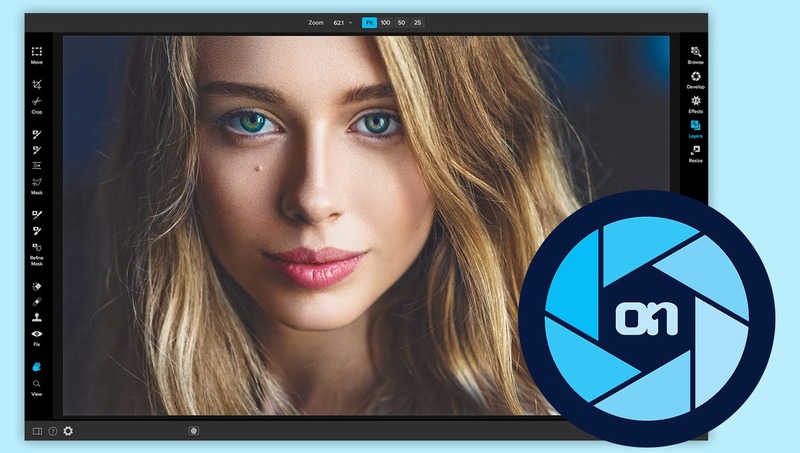 With Photo RAW 2018.1, ON1 has created a photo editor designed by photographers for photographers. One thing that stands out is that they always prioritize the image quality and their software’s performance in these updates. Photo RAW 2018.1 is no exception, as they have again tweaked the debayering algorithms to increase micro detail and reduce aliasing in photos. 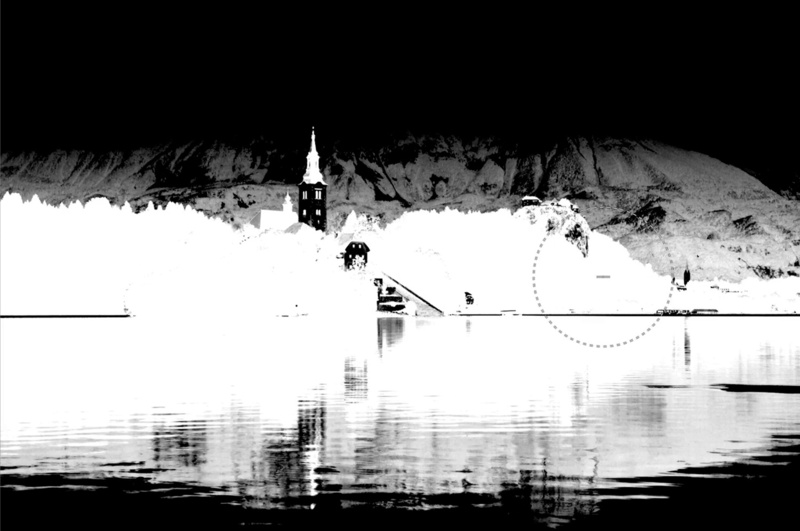 Improvements like this mean sharper images with fewer artifacts, all without changing anybody’s workflow. Photo RAW 2018.1 Browse in thumbnail view. Now, let’s dive in to all the other new features of Photo RAW 2018.1. The new Import feature is a welcomed addition to Photo RAW 2018.1. With this tool, I can take care of multiple tasks at the time of importing images off a memory card. I can rename the image files with keywords, sequential numbering, etc., as well as add metadata, add photo filter presets to get them started off with the right look, and even adjust the capture time and date in case I forgot to set it correctly in camera while traveling across time zones. With either certain photos selected that I want to pull off the card, or having everything selected to cull in Photo RAW later on, I can then choose from my most frequently used folders and catalogs or go in an select anywhere else on the drive to import the photos to. If I decided to cull later while importing, the photo browser is actually super fast to load previews and work through images to find the best ones. Photo RAW even added some enhancements to browsing including custom sorting, batch renaming, capture date editing, video browsing, and my favorite: auto advance. Auto advance is seriously awesome. Sometimes when culling it feels like my right arrow key on the keyboard is going to break, but auto advance simplifies things and automatically moves to the next image after I give a rating or color label. I mentioned the ability to change metadata on import above, and to add to that I should also say in 2018.1 metadata templates can now be created. So for the metadata you always add to files, such as your copyright information, this can be recalled from a template to save time and you won’t have to continuously enter it in manually. When creating a template, I’m able to pick and choose what specific metadata fields I want saved. If you own one of the many compatible Canon or Nikon cameras, now Photo RAW 2018.1 will allow for tethered shooting via USB cable to get photos into the computer instantly. The captured photos can have import settings applied to them as they are taken. Tethering gives the ability to trigger the camera’s shutter from within Photo RAW as well as adjust settings such as aperture and shutter speed. When photographing on-location for an architectural gig for example, tethering is a good plan to make sure you are capturing everything in the highest detail and Photo RAW 2018.1 fits seamlessly with that workflow. Straight up, soft proofing is a money-saving feature. If you print your work, soft proofing will display how the photo will appear when printed onto the paper by using the appropriate color profiles. Issues in the tone or color can be addressed before wasting expensive ink and fine art papers. Additionally, Photo RAW 2018.1 now has virtual copies, so now you can create individualized adjustments to each copy without creating all new duplicate photo files on the hard drive. I needed to put this one first because masking in Photo RAW 2018.1 is so good. And if you’ve used a previous version of the software, masking is now better than ever. The Blur and Chisel masking tools now in the Effects module can make refining complex masks so much easier. You can either double-click the tool to apply it globally to the mask, or use a brush to apply the refinements in only the areas you need it. They’ve also enhanced the luminosity masks and improved feathering of mask edges. New color range masks make it simple to pick out specific colors that need refinement in editing. Lastly, masks now have an adjustable density to tone down the effects that were applied to it. Wait, don’t roll your eyes yet. Photo RAW 2018.1 can actually make some subtle and tasteful looking HDR images. Part of this is thanks to the improved alignment and deghosting so that the more wild negative effects of HDR are subdued and results are sharper and cleaner with less noise and color fringing. In Photo RAW 2018 we could already create beautiful, large panoramic images, and now they can be made even larger. 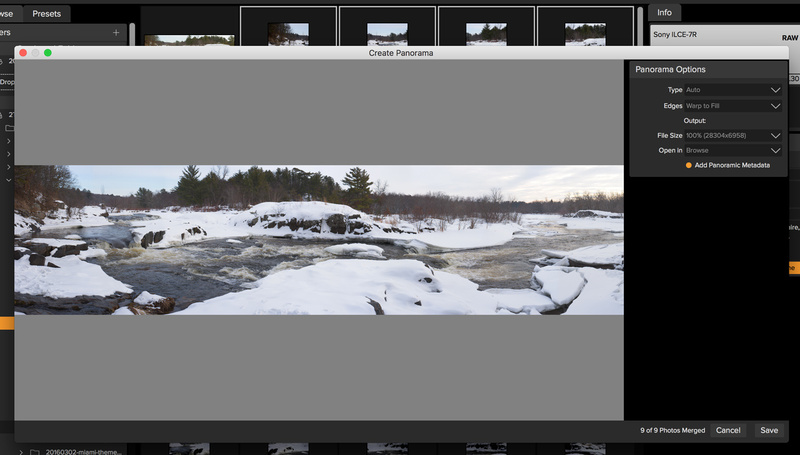 Up to 25 photos can now be stitched together in a single panorama. Improvements have been made for creating vertical panoramas, as well as the blending when exposures and white balance are a little inconsistent between images. Testing this one out, the transition between frames of slightly different exposures does look very smooth rather than any hard edges, and it’s more complex than a simple linear gradient. When you’ve done all you can to get the frames identical, this great assistant takes care of the minor blending differences that are hard to detect or control. Local adjustments are absolutely critical if you want to go beyond the basics of image editing. This allows you to apply changes to things like color or exposure to only certain parts of an image rather than globally affecting everything. In Photo RAW 2018.1, local adjustments are more than just hand drawing masks, I can use gradients or even select areas of luminosity in the image to edit without third-party plug-ins. There are two new local adjustment tools added here, and they are Paint With Color and Add/Remove Noise. Paint With Color is used to select a color and paint it onto the image. This is useful for smoothing color transitions and softening, and also replacing colors of objects. It’s a really simple tool to use, and I like how I can refine the color change after it’s been drawn on or adjust its opacity. Add/Remove Noise is a great tool to have in your bag if you have a high noise image with finer detail. 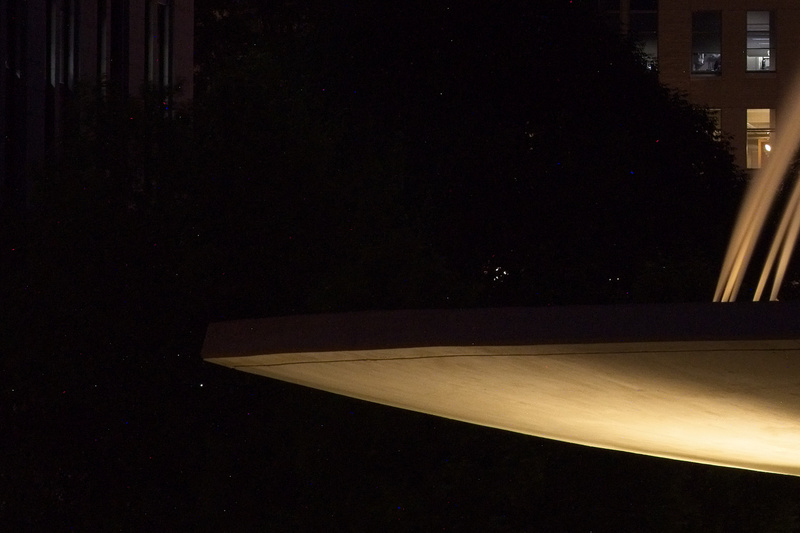 By applying a noise reduction locally, I can heavily target only the shadow areas where it’s at its most noticeable and leave the important areas unaffected. Further improvements have been made in image quality when working with high ISO images to reduce large noise. There’s been an automatic hot pixel removal option added which in my testing works surprisingly well. I have a photo from years back that I immediately thought of because it took me over an hour to manually remove all the hot pixels, but loaded into Photo RAW 2018.1 the automatic removal tool took out about 75 percent of them in seconds. The hot pixels left over were larger so I can see why the software would want to be more cautious about taking them out automatically. 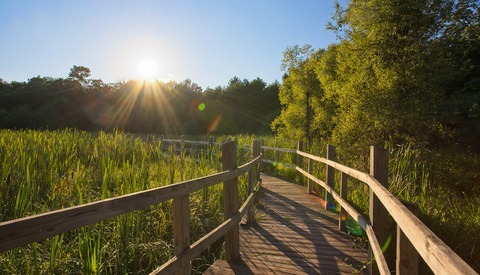 Previously named Photo Via, ON1 Photo for Mobile is an updated iOS app for syncing albums between the computer and iPads and iPhones. iPhoneographers can also set the app to automatically sync their images back to the desktop application for cataloging and more robust editing. ON1 gives you the option of using Dropbox, Google Drive, and Microsoft SkyDrive to sync and store images, so you aren’t locked into any specific cloud plan. For a closer look at any of these features, ON1 has hundreds of free training videos on their website and YouTube channel to jump-start your knowledge. As a newcomer to Photo RAW myself, these have been so helpful in learning how to best use some of these tools that don’t even exist in other editors. ON1 Photo RAW 2018.1 is available as a one-time purchase with no ongoing subscription, and is even backed by a 30-day money-back guarantee. 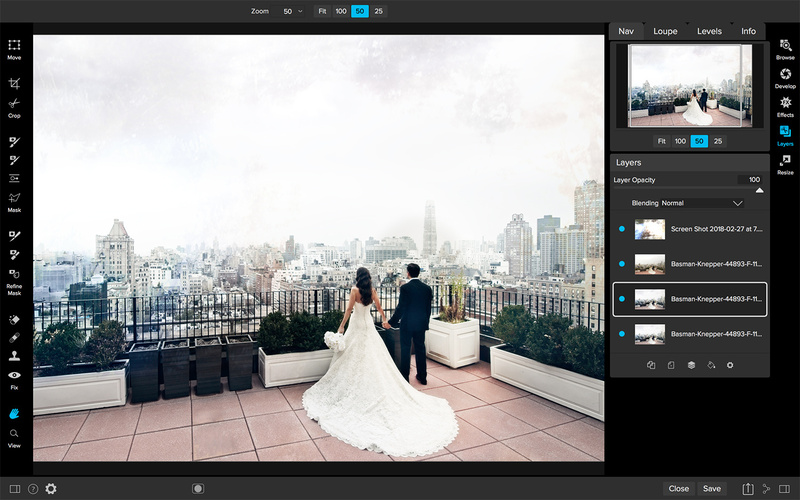 If you’ve been searching for a Lightroom or Photoshop alternative, definitely check this out. 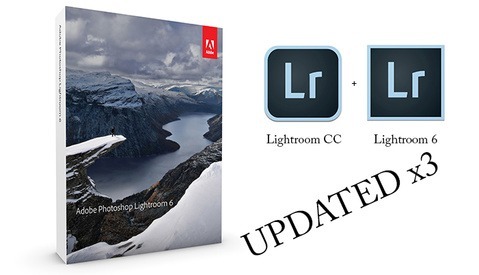 Photo RAW comes with a Lightroom migration assistant to make the switch very simple. Or if you just like the awesome masking tools and editing features, it works perfectly well as a plug-in to those applications too. Right now there’s an introductory price of $79.99 for a limited time (regular price is $119.99). It can be installed on both Mac and Windows and be activated on up to five computers. Check out the free, fully functional 30-day trial from the ON1 website to get started with all the new features. This reads like an ad. And then I realized it is sponsored. This seems more like a spec sheet of features than a review. I didn't see one negative item listed. This more reads like a feature list. Please try a little harder. I have used On1 as a Lightroom plug-in for a number of years because I don't own Photoshop and it's really a different tool. Recently, I have been trying On1 out as my primary raw editor instead of Lightroom. To me, only a serious enthusiast, I think the results are just as good as Lightroom and On1 does many things Lightroom cannot so in a sense it can be a more complete package if you are only using 1 program. Raw files do have a slightly different look compared to LR, but that would be the case for Capture One also. Your results with either will depend more on your vision and skill, both in shooting and editing, than on software anyway. Each would have different strengths. However, while browsing mode is quite fast, editing is much slower than Lightroom, both in tasks like cloning/healing and also to move from one photo to the next in edit mode or between the 3 edit modes as it can do layers. However, you get used to it and perhaps with a faster computer, this may be less of an issue. If you are a professional editing several hundreds of photos from one shoot, that speed issue might discourage you, but perhaps it will improve with the next version just as browsing is much faster now. Regardless, if you are, for example, a wedding photographer, you should at minimum give it a free trial test using it as a LR plug-in. I think On1 offers a lot for the price. Unfortunately the software does not work properly on a 4k laptop using the recommended screen settings. When using a larger 4k second monitor some items stop working at all. Since all CC apps, capture one, etc work fine this is not hardware related. So for the moment not even near a serious alternative for Lightroom.